After a chilly New Zealand, I was happy to welcome the sunshine and heat as we landed in Sydney. With only two weeks in the land of kangaroos, we did some careful planning to make the most of our time. 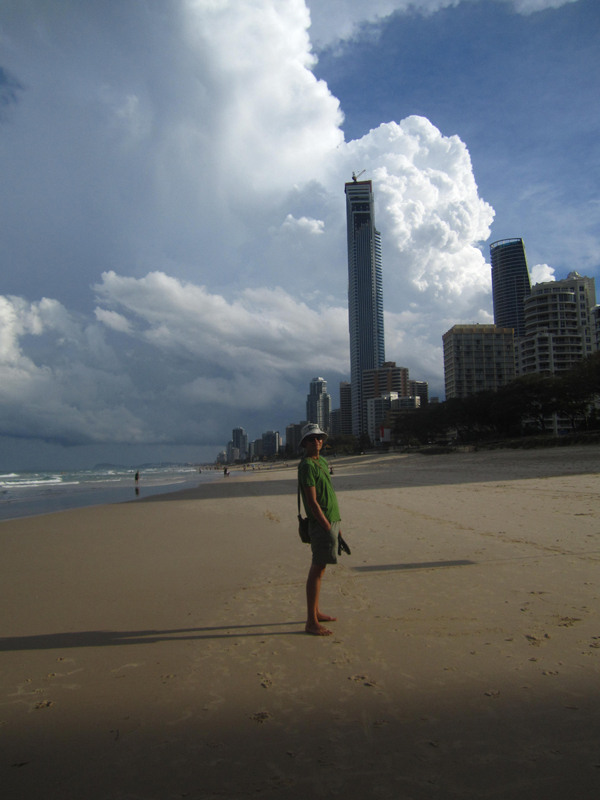 We visited Sydney, Cairns, Brisbane and Surfers paradise on the Gold Coast. 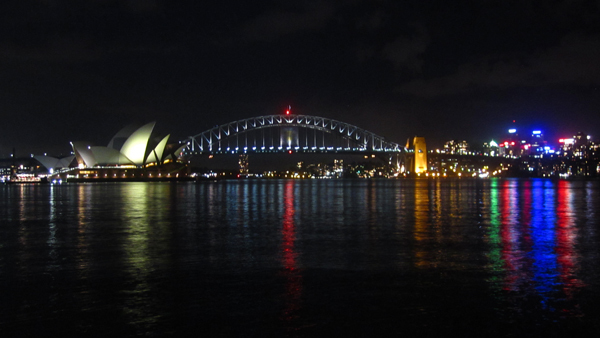 In Sydney we took in the city sites, indulged in dining out after a month of cooking on our gas stove. On Valentine’s Day I was surprised with tickets to a play called “Midsummer night” at the Sydney Opera House which was pretty exciting. The iconic opera house was just as stunning as I was expecting it to be, especially when lit up at night. My favourite thing I saw in Sydney were the massive bats the size of cats that flew around at night. I was shocked to see such big bats in a big city, and so close up! 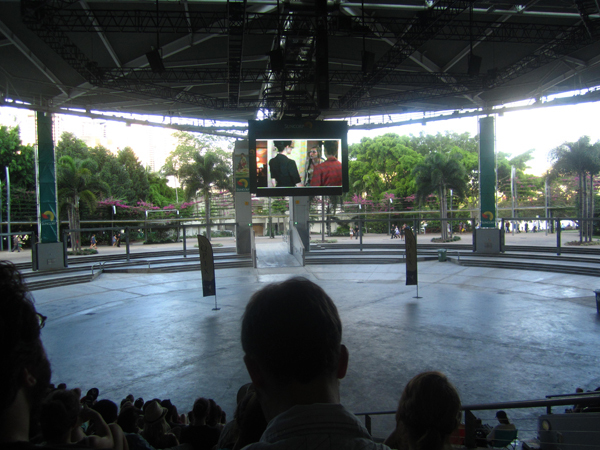 In Brisbane we attended Tropfest, Australia’s annual short film festival. It was a free event that occurred in a number of different cities across the country. The festival showcases the top finalists for three different categories; children’s productions, films shot on an iPhone, and the top short films. I was particularly impressed with the talent of the children’s productions. It was a great way to take in some Australian culture, and the best part was that it was free! Our final stop as Surfers Paradise on the Gold Coast where we relaxed on the beach and I fell in love with surfing. It was my first time so I took a lesson, but had so much fun that I can’t wait to try again! The two weeks were short and sweet, leaving much more to explore in Australia, but I enjoyed my small taste of this big country. Good that you could tick one thing off your bucket-list on this part of the trip, by the way, weren’t you tempted to ‘drop out’ and spend the next few years riding the ‘surf’? I sure was! I wish there was a place to surf in Toronto!